Maui is the second largest island in Hawaii. The Maui has an area of 727.2 square miles and is the 17th largest island of the United States. Maui has a population of 117,644 and is considered to be the third most populous state in Hawaii, according to the census report of 2000. The western districts of Maui island in Lahaina and Wailea is dominated by golf courses and resorts. This is a perfect place for honeymooners and wealthy tourists. For budget travelers, it is advisable to stick to the east. Upcountry Maui has ranches, old plantations, tiny farmlands, and vineyards. Kihei is a slipshod beach there. The centre of the sugar mill industry in Hawaii, Paia, had attracted a hippie movement somewhere around the 1960’s. The place is full of cafes and shops and you can still find hemp products and diverse clothing. 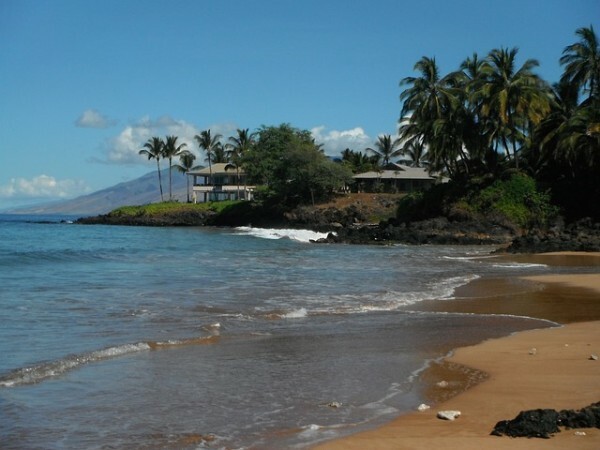 Maui has some best budget hotels and resorts. Since, it is a small place, everything is nearby to the hotels, and traveling is less. Mana, a natural food market in Paia, has plenty of hotels, sub-lets, and even rooms on rental to offer. 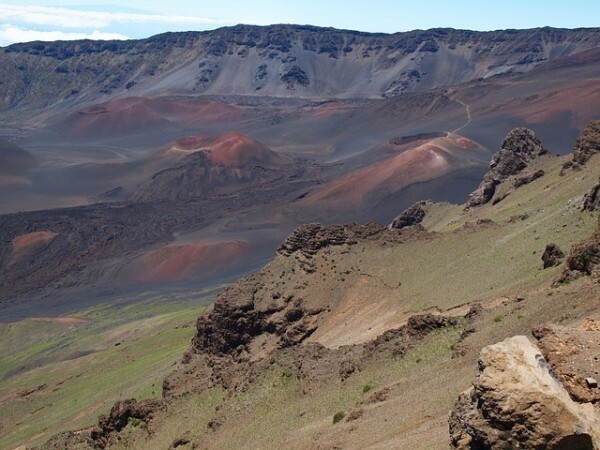 There is also a great camping area near the Haleakala Volcano. There are many shops along the tiny roads of Maui, where you can find some sumptuous snacks to gorge on. Also, the Sansei Seafood Restaurant and Sushi Bar, is great to try your hands on the local seafood of the area. They are open all through the week. The Jawz Fish Taco Trunk is another place which is very popular among the locals and offers some great stuff. The best part about budget holidaying in Maui is that nature here has plenty to offer free of cost. 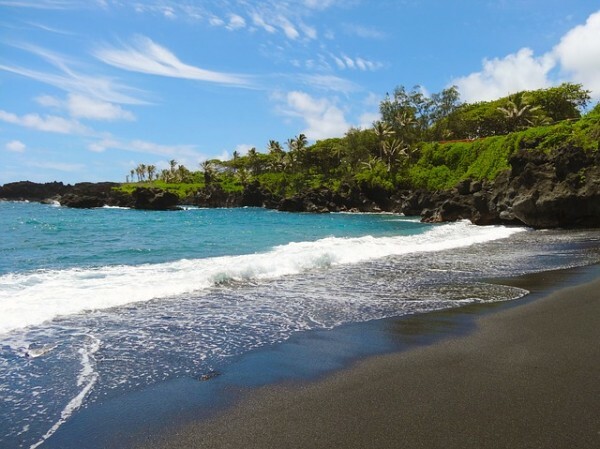 The 68 mile road leading to Hana is a known as the “ribbon of coastal highway”. It allows you to stop along the waterfalls, the black sand beaches, the bamboo forests, and the Rainbow Eucalyptus trees. The La Perouse Bay is a stretch of “black volcanic rocks”, which are placed on the edge of the sea. On the top of the Haleakala Volcano, where you can find camping areas, it is a spot to watch the sun rise and set. The amazing thing about this place is, one does not need to spend a penny to watch the whales, and they can be spotted from any part of the island. Peahi and Hookipa, are the best areas to go in for some surfing. Nightlife is expensive in Maui. But still if you want to enjoy sometime, partying and boozing, Luau is a great place. For inexpensive partying, the Little Beach in Makena, has the locals in the area, form circle with fire dancers, when the sunsets. It is amazing to watch some of these performances. The best way to travel in Maui is to rent a car rather go in for the expensive tours. Kihei Rent a Car, rents out cars at nominal value. Also, trekking is the best way to visit the island.